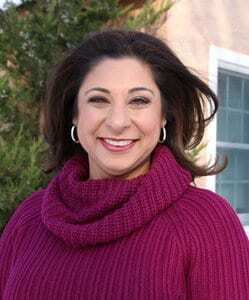 Tag Archives for " Dolly Chugh "
John Jantsch: It seems to me that, in our current political climate, culture climate, blatant bias, unfortunately, seems to be everywhere. However, there’s a whole lot of really good people that participate in unconscious bias, not meaning to. It just is unconscious. In this episode of the Duct Tape Marketing podcast, I speak with Dolly Chugh, and she’s the author of a book called, The Person You Mean to Be: How Good People Fight Bias. This is a great leadership, great culture, great workplace discussion, and I think it’s an important topic for today. Check it out. Stuff like payroll and benefits are hard. That’s why I switched to Gusto. To help support the show, Gusto is offering our listeners an exclusive, limited time deal. If you sign up for their payroll service today, you’ll get three months free, once you run you first payroll. Just go to gusto.com/tape. Hello. Welcome to another episode of the Duct Tape Marketing podcast. This is John Jantsch, and my guest today is Dolly Chugh. She’s a psychologist and Associate Professor of Management and Organizations at the Stern School of Business at New York University. She’s also the author of a book we’re going to talk about today, The Person You Mean to Be: How Good People Fight Bias. Dolly, thanks for joining me. Dolly Chugh: Oh, thank you so much for having me, John. It’s an honor. John Jantsch: I think you’re my first Dolly ever. Dolly Chugh: Oh, I love it. John Jantsch: Quite often, I will ask an author to unpack the title a little bit, and so I’ll ask them, “What do you mean?” I’m having trouble how to ask this question, but what do you mean by being the person you mean to be? Dolly Chugh: Yeah, well, this title … We went through so many to get to this title. This title gets at the heart of what I think this book is about, which is I’m not an expert on telling people what they should believe or what they should care about. What I’m an expert in is helping people see ways in which what they believe and care about may not align with what’s actually happening in their behavior and in their mind. This title refers to that, that whoever it is you mean to be, particularly when it comes to how you treat other people, particularly if they’re from a different race or gender or ethnicity or religion or ability level than you. If there are, perhaps, gaps in what you mean to be and how you mean to treat them and what’s actually happening, this is a book that helps people reflect and learn and improve. John Jantsch: Yeah, and I think the main point is, I mean, we all know people that are just not nice people. John Jantsch: They’re sort of overt about it. What you’re getting at is the people that, they’d be appalled that somebody might actually interpret that, right? Dolly Chugh: Yes, that’s right. I actually say, early in the book, those people … This book’s not for you. I’m not going to be able to offer much. This book is for people who are trying, who really are. John Jantsch: It’s interesting. I have a black friend who, a long time ago, told me that … This gets into different parts of the country, where racism, in particular, is … I don’t want to say it’s accepted, but it seems to be more blatant or more overt. Then there are places where it’s actually very subtle. I live in Kansas City. I think most people in Kansas City would say, “Well, no, I’m not racist.” Yet, it’s very segregated. He actually said that that was worse, that he’d rather know somebody was racist, rather than somebody just sort of subtly be it. Does that make sense? Dolly Chugh: Yes, yeah, absolutely. In fact, I don’t think I talk about this in the book, but there is data out there that says, from a physiological standpoint, when people face ambiguous racism, it has a greater stress impact. Their physiology actually spikes in more severe ways than when they face overt, explicit racism, because it’s not just a matter of dealing with whatever you’re dealing with. It’s also a matter of trying to decode it and unpack it and figure out, is it you? Is everyone seeing this, or is it just me? There’s a lot more going on in those situations. John Jantsch: Obviously, so far, we’ve talked about race, but certainly gender is a giant part of this, as well, isn’t it? Dolly Chugh: Absolutely. In fact, in the book, I don’t focus on any one particular dimension of our identity. I have examples and interviews and research that centers on race, as well as sexual orientation, as well as gender, as well as religion. There’s probably a couple of other dimensions that are slipping my mind now, but the psychology is very similar. The type of mental processes involved are not tremendously different. There are some subtle differences, but the kind of … What I’m offering, in terms of tools and strategies, are similar. John Jantsch: Talk a little bit about your research for coming to your hypothesis, because I think it’s fascinating, and I’m curious if you got any blow-back for how you did it. Dolly Chugh: Yeah, well, what I do in this book is curate research from social psychology, as well as social sciences more broadly, some of which is mine, but a lot of which is coming from a whole bunch of different other people, as well. I would say the research that … One of the big foundations of the research here that I share is around unconscious, or sometimes referred to as implicit bias. That’s certainly been a topic that’s gotten a lot of attention and a lot of debate. Another area where I pull in the research is from sociology and economics, talking about systemic bias, which is an area I know less about, as a psychologist, but where I think I personally learned and grew the most through the writing of this book. That ties very well to your example regarding Kansas City and the segregation. A lot of things, that just look like they are the way they are, actually have more deep-rooted systemic roots. Some of the research I share in this book was eye-opening to me, because I really hadn’t been trained in thinking that way and looking that way. I think it’s very helpful for all of us to be able to start to spot that around us. Dolly Chugh: Right, oh sure. Dolly Chugh: It was along the path. I think I started on this path well before that, but yeah, I’d be happy. Sorry that I missed the cue there. That’s a study that was done with Modupe Akinola, at the Columbia Business School, and Katy Milkman, at Wharton. The three of us went to grad school together, and we had a terrific mentor, Max Bazerman, in grad school. We’ve often noted how blessed we were to have that. It occurred to us that not everyone gets that in grad school. In fact, not everyone even gets access to talk to potential mentors before they apply to grad school, which all three of us did do, before we applied to grad school. The study we put together … It’s methodologically called an audit study. Some people call it a sting operation colloquially. The sting operation was that we constructed identities of potential PhD students, writing a professor, saying, “I’m interested in applying to your program,” which is a subtle way of saying, “I’m looking for a mentor, and I’d like to learn more about your research and your program. Would you be willing to talk to me. I’ll be on your campus on this and this date.” All of our emails were identical, but the identity, as reflected by the name of the person sending the email, varied. We pretested lots of names and, in the end, constructed identities that were perceived as either male or female, using a gender binary and perceived as either white-sounding, black-sounding, Hispanic-sounding, Chinese-sounding, or Indian-sounding, and then we had multiple names within each of those identities, but it was 10 different gender and race/ethnicity combinations. Each of those “prospective PhD students” sent this email to this potential mentor. To come up with who received the emails, what we did was took the US News and World Report. We randomly picked one professor from every PhD granting department listed in the top 260 schools they list, except for Alaska and Hawaii. That professor was randomly assigned a student, who sent them one of these emails. Each professor got one email. Then, we had some other nuances to the study that aren’t as relevant to this discussion, so I’ll put those aside for now and say that what we did was we then focused on what responses … Did we get responses? Were the meetings accepted in the war room of research assistants we set up to monitor all of these email accounts that we had set up. What we did find … Our hypothesis was that white men would receive more email responses than the nonwhite men, all those other identities that I described. In fact, that is exactly what we found. John Jantsch: As a researcher, do you actually want to find something that you weren’t looking for, or I mean, is it like, “Ah, that’s what we thought, and we did all this time to prove what we thought was right”? Dolly Chugh: Yeah, no, it’s interesting, especially when you study something like bias, because what you want to find is no bias or nothing egregious. You don’t … I’m a professor in a university. I want to think highly of how we’re doing this, and how we’re operating as an institution. John Jantsch: These were peers, too, right? Dolly Chugh: Yeah, right, and I should add, all three of us were female, untenured professors when we ran this study. I think maybe now I’m understanding your earlier question better. There was absolutely tons of blow-back on this particular study. We expected a little. We didn’t expect quite as much as we got. Part of it was people don’t like to be deceived, and there was deception in this study, and so we understood that. Of course, we canceled all the meetings. That’s why we had the war room of research assistants. As soon as someone wrote back, we canceled the meeting, which was … At least, no one should’ve been waiting for a student, who never showed up. As a researcher, while we would love to believe there isn’t bias in the world, there’s lots of evidence that there is. What we were trying to do is show that it’s closer to home than a lot of us realize. In fact, that is what we found. To make it even more complicated, we were able to break down the data by discipline and private versus public universities. All three of us work in business schools that are in private universities. Private showed more bias than public, and business was the discipline that showed the most amount of bias. John Jantsch: Yeah, I guess none of that’s really surprising. Let me ask you this. This would just be … I’m guessing this would just be your opinion, but do you believe a very similar bias shows up in, say, resumes in people applying for jobs? Dolly Chugh: Yeah, so there have been studies, Sendhil Mullainathan and Marianne Bertrand, economists. They ran a study that actually, largely, was the inspiration for ours, where they did that. They changed the resume names, the names at the top of the resume. I don’t have the results right on the top of my head, but it was something like, roughly, a black applicant had to apply to two and a half as many jobs to get the same number of callbacks as a white applicant, with everything else being the same on the resumes. John Jantsch: Wouldn’t it be great if, in your business, all you had to do was the stuff you love, the reason you started the business, and not all that administrative stuff, like payroll and benefits? That stuff’s hard, especially when you’re a small business. Now, I’ve been delegating my payroll, for years, to one of those big, corporate companies, and I always felt like a little, tiny fish. Now, there is a much better way. I’ve switched over to Gusto, and it is making payroll and benefits and HR easy for the modern small business. You no longer have to be a big company to get great technology, great benefits, and great service, to take care of your team. To help support the show, Gusto is offering our listeners an exclusive, limited time deal. If you sign up today, you’ll get three months free, once you run your first payroll. Just go to gusto.com/tape. Again, I think we know that bias, blatant bias, is a part of reality. I’m more interested in knowing, when you talk about unconscious bias, any thoughts on why that occurs? Dolly Chugh: Yeah, I mean, and let me, in answering that question, clarify one belief we have about our professor study. We didn’t measure whether it was a conscious or unconscious bias. We have no way of knowing, but our belief, based off of other data out in the world, is that unconscious bias played a huge role, that it was good people trying to do the right thing. Even there, it’s not evident that it’s just blatant bias, in the sense of being deliberate or conscious. I said that to set up my answer to your question, and I now have lost your question. John Jantsch: The main thing I was saying is why does unconscious bias exist? Dolly Chugh: Yes, yes, thank you so much! Yeah, so what we know is that the brain does not have unlimited computing power. Three Nobel prizes have been won in the last 40 years that basically sit on this premise that there’s limitations to how much information the brain can process at once, particularly consciously. Eleven million bits of information come into our brain at any given moment. Only 40 of them are processed consciously at any given moment. If that’s true, if so much of the mental processing that’s going on is in the background, low power mode, like when your phone’s on low power mode and doing all sorts of stuff that we don’t even know what it’s doing, the same thing’s happening in our brain. What our brain is doing, to cut through the 11 million bits of information, is using lots of shortcuts. It’s using categories to put things together, to keep track of it. It’s using heuristics. One result of this is that we do form associations between ideas. If I say peanut butter, you say jelly. Those ideas are sitting in your brain together. You weren’t born with that, but at some point you learned it. That same mental architecture that creates those shortcuts, that creates categories, also then creates some associations that maybe were not what we quite meant to have imprinted in our brains. Beverly Daniel Tatum calls it the smog we breathe from the moment we’re born. Some of those associations include we’re associating African-Americans with violence, or with not smart, or women with the home and not the workplace. These associations, which may or may not reflect our conscious beliefs, are sitting in our brain in that low power mode, churning away, and filtering into things that we don’t intend. This is the part where it gets in the way of us being the person we mean to be. John Jantsch: Maybe think about how’s this show up every day in the workplace? I’ll start with one. I get probably 10 LinkedIn requests a day. I’m wondering how much unconscious bias goes into my accepting or not accepting LinkedIn requests. I mean, that’s probably an everyday example of where somebody might actually think about that. Would you agree? Dolly Chugh: Yeah, yeah, absolutely. I do, too, by the way. I absolutely think we have very reason to believe it is filtering in, especially behaviors where we aren’t giving a lot of deliberate thought. We’re moving quickly. We’re moving through our inbox. That’s why we actually did … For the study I just described, that’s why we did emails, because everyone’s just moving at lightning speed through their inboxes and trying to filter stuff out, particularly those cold call type emails. These are cold call type LinkedIn requests you’re receiving. One person I interviewed for my book, Rick Klau, who’s a very senior person at Google Ventures and who takes a lot of pride in his track record in promoting women and hiring women … One of the things that he came to realize, when he did a bit of a self-audit on his social media, was he realized that he was heavily tilted, 80% plus, in LinkedIn and Twitter and every sort of medium that he values and where he is an influential voice … He was 80% tilted towards male voices, in terms of who he was following. I think these things, even for people like him, who found himself inadvertently creating a real skew, and then he went and has actively tried to change that. He said it’s really been eye-opening to realize how many important ideas and voices he didn’t even have access to, because he wasn’t following the right people. John Jantsch: That brings a little bit of a point, too, that that’s an active choice and decision that you have to make, maybe as a sort of override to some unconscious bias. How much does a lack of exposure to diversity contribute to this? Dolly Chugh: It definitely must contribute to it. If we don’t have in-person exposure, and we’re going, for example, off of media exposure, the studies that are being done … Dr. Stacy Smith, who has a terrific TED Talk and a number of research reports, has analyzed our movies and our TV shows and our advertising and shown that if martians came to earth, they would completely misunderstand who we were, as a planet, and who lived here, based off of what you see in our TV shows and movies. Absolutely, if we don’t have direct exposure, and all we’re getting is this indirect media level exposure, we are not setting ourselves up for success. We’re breathing in a smog that’s really, really packing it into our brain with associations that may not represent what we’re after. John Jantsch: What do you want to accomplish with this book? Is this an activist movement, or is this a, “Hey, wake up, good people, and be a little better”? Dolly Chugh: Yeah, I think it’s closer to the second. I certainly wrote the book, hoping activists would find it useful, but I don’t think of myself as an activist. I describe myself as a smart, semi-bold person, who is trying to do the right thing, but is kind of timid, and probably isn’t brave enough to go get arrested and be an Activist with a capital A. I think that’s a lot of people out there, but I think we care a lot about being good people, and there are ways that we, as semi-bold people, can still act. The alternative is not inaction or silence. Maybe we’re not ready to do the big, daring thing. I tell a story at the beginning of the book, in the prologue, about me attending a Black Lives Matter protest and passionately wanting to support their work and, at the same time, just feeling completely out of place, like I just don’t know that this is my role. I’m just such a wimp, but maybe there are other forms of little “a” activism that are for people like me, where it’s the conversations we have at our dinner tables. It’s the books we read our children. It’s the questions we ask in meetings. It’s the thought we give to which LinkedIn profiles we accept. I think these are ways in which we don’t have to be activists to act. John Jantsch: If I’m the leader of a company, and obviously, I’m going to set a lot of the tone for what the culture is, what are some things that you would suggest I do to make this … not to dictate, as you said, how people should think, but to make this a priority, in terms of at least recognition? Dolly Chugh: Yeah, absolutely. I think if you’re the leader of the company, you have two really big leverage points. One is make yourself vulnerable as a learner in this area. What I mean by that is a CEO that stands up and says, “The rest of you need to stop being so racist and sexist,” is, A, obviously just not going to be effective but, B, it’s also dishonest, because there’s no … None of us are immune from how the mind works. The first leverage point a CEO has is to really be willing to be candid that they are also learning, and they are doing the work that they’re asking their employees to do, as well. Part of that means that there could’ve been mistakes in the past. There could be bias that they need to overcome, that’s unconscious or was outside of their awareness in the past. That’s one really powerful thing. We see examples. For example, at Salesforce, where the CEO there has really been powerful in his willingness to do that. The second leverage point, which is also a Salesforce example, is I asked the Chief Equality Officer there, which is a new role they’ve created … Tony Prophet came from Microsoft to join them. I asked him, “So tell me, what’s the big thing that organizations should be doing?” I was expecting this really thunderous idea or initiative. We all know that meetings are notoriously ineffective and bad uses of time, and really boring, and really frustrating. This is a double-edged approach because, A, if you run better meetings, you’ll just run better meetings, and that’s good business practice, and you’ll use your employees’ time better but, B, if you run better meetings, what you’re probably doing is something like balancing airtime. You’re probably encouraging more constructive disagreement. You’re probably seeking input widely, as opposed to dictating how things are going to happen. These are all the things that you are seeking in a more diverse and inclusive workplace to begin with, right? Dolly Chugh: Exactly, so a lot of … If you talk to people about times in their organization where they felt the real diminishing of who they were, the marginalization of who they are, it really often happens in these interactions, in meetings, or in what they’re not included in. These are the moments where we can really think about inclusion in a very specific, concrete, actionable way. John Jantsch: It’s been a long, long time since I’ve been in corporate settings, but that was also the flip side of that. Meetings were typically used as a political device, and so, so often, it seemed like … in who did get invited, and what was going on in that room that we’re not included in. It was almost used as a tool the opposite way. Dolly Chugh: Yeah, exactly, and so what that tells us is that we can use them to shape cultures, and we can use them to shape outcomes. John Jantsch: Dolly, where can more people find out about your work and, obviously, the book? Dolly Chugh: Oh, John, that’s so nice of you to ask. My book is available for preorder on Amazon, as well as all other booksellers. It’s called, The Person You Mean to Be: How Good People Fight Bias. If they want to see more about my research, I have a website, dollychugh.com, or if you Google NYU and Dolly, I am the only one that comes up. John Jantsch: Yeah, and the book comes out when? A lot of times people listen to the show years from now. Dolly Chugh: Oh, yes, of course, thank you. It comes out September 4, 2018, so if you’re hearing this after September 4, 2018, it’s ready for you. John Jantsch: Congratulations. Really, really important topic, and I think it’s something that not only needs to be consumed from the book, but obviously practiced in our language and thought and everyday rituals. Dolly Chugh: Oh, well, thank you so much, John. It was really a pleasure to be able to share it with your listeners. Congratulations on your great podcast. My guest for this week’s episode of the Duct Tape Marketing Podcast is Dolly Chugh. Chugh is a psychologist and associate professor of management and organizations at the Stern School of Business at NYU. She’s also the author of the forthcoming book The Person You Mean to Be: How Good People Fight Bias. Chugh writes a monthly column for Forbes.com on gender, race, diversity, inclusion and bias, and has contributed to more than 20 academic and managerial publications including the Harvard Business Review, Psychological Science, Social Justice Research, and The American Economic Review. Her research has also been featured on numerous media outlets including National Public Radio, The Washington Post, The New York Times, and The Economist. In this episode, we unpack the ways in which unconscious bias may get in the way of good people living their lives and running their businesses as fairly and equitably as they’d like. What do you mean when you say “being the person you mean to be”? How can I, as the leader of a company, make fighting bias and promoting diversity a priority? How much does a lack of exposure to diversity contribute to unconscious bias?